A few months back, Visual Jazz (the place I work) was building a new site for Visy called Visy Enviromaniacs. The purpose of the site was to help educate children about the environment, teaching them about recycling, saving energy, etc. Read on to hear about the games, and then check them out at VISY Enviromaniacs. Each of the games had a different theme, focusing on different ways to save the environment. To keep things interesting, we made sure that the games were also different in the way that they played. We didn’t one to have 5 of the same game with just a graphics changed. As always, deadlines were tight, but the managers and designers that I worked with were right on top of things, so it all ended up falling into place. 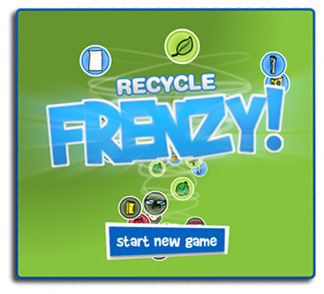 Recycle Frenzy was the first game we made. It was a bit of across between Bejeweled, Tetris and a sorting game. Pieces of litter would be added to the bottom of the screen, one row at a time. 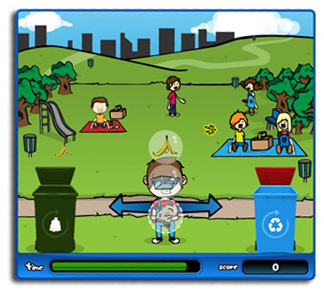 The player would have to drag the pieces of litter the appropriate bin – general waste, recycling, paper or green waste. If the rubbish made it all the way to the top of the screen, the game was over. 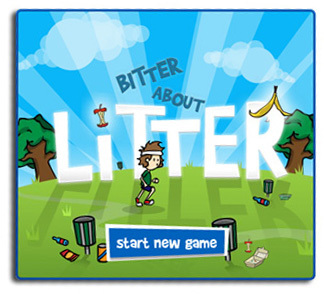 To add a bit of spice to the game, the player could swap the positions of litter by dragging them around the grid. Arranging litter into larger groups before dragging it to the bin would result in bonus points being added to the score. Also, by filling up the bins the user unlocked ‘power ups’ that allowed them to do things like remove an entire row or column with a single click. 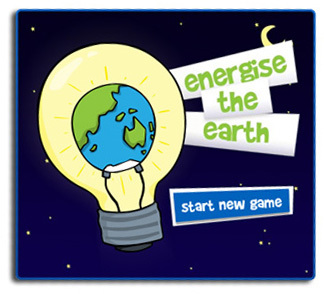 Energise the Earth is a bit of a strange game. It is a very simple concept, but proved to be a bit harder to build then initially thought. 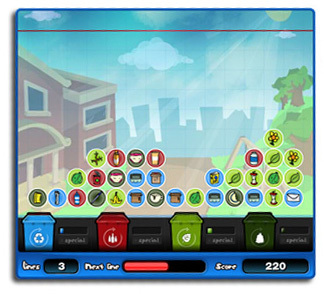 The basic idea of the game is to collect the energy that is escaping from appliances around the house. 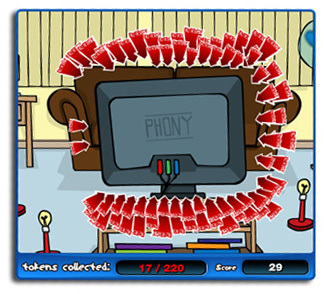 As you look around the room, ‘energy tokens’ will jump out from different appliances and you have to roll your mouse over them to collect them. 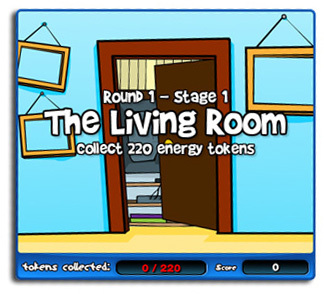 Each room you enter has a specified number of energy tokens you have to collect to successfully pass the room. If you reach that amount, you move onto the next room. If you don’t, it is game over. There are 5 rooms in total, including the living room, study, kitchen, laundry and bedroom. If you pass all of the rooms, you start again, but with higher umber of tokens required in each of the rooms. 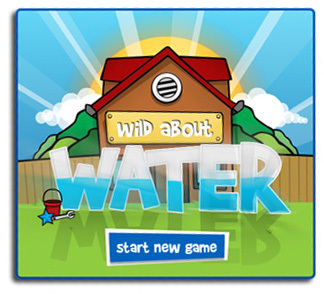 Wild About Water was the second game I had to build. This one was a bit more complex and confusing, but one you get the hang of it, it is quite addictive and satisfying. 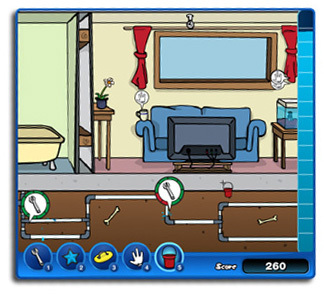 The idea behind it is that you have to keep on top of all the possible water wasting events that occur around a house. Everything from fixing dripping taps to covering swimming pools to prevent evaporation. When something goes wrong, you are alerted and given an amount of time to fix the problem. The longer you take to fix the problem, the more water you will lose. If you run out of water, the game is over. It’s not all bad though. When you fix a problem, you are given the chance to collect that water with your bucket, adding to your overall water total. If that wasn’t enough though, there are a couple of side tasks you have to keep in mind. Firstly, you have to keep the plants alive by giving them some of your water at regular intervals. Secondly, you have to drag dishes to the dish washer and clothes to the washing machine, making sure that the machines are full before they start so that you don’t waste water. As I write this, it does sound overly complex, but like I said at the start, once you get used to it, it does prove to be a challenge. Bitter about Litter is all about collecting and sorting litter. Sounds like fun, I know, but the game does go a long way to making it so. You control a guy, in a park full of litterers. As they drop throw their litter on the ground, you run over and pick it up. You then bring it back to your bins where you quickly sort it into either waste or recycling. When there is litter on the ground, your health begins to drop. The more litter that is there, the faster your health will drop. When you put rubbish int the bins, you get a bit of your health back – as long as it is going into the right bin. When your health runs out, the game is over. 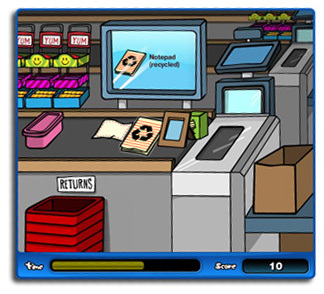 To add some more interest to the game, the player is awarded bonus points for sorting items of rubbish into the the bins without making mistakes. There are also bonus points for returning with as much rubbish as you can carry. Another nice feature we slotted into the game is that the character in the game actually takes on the look of the player’s ‘enviromaniac’ avatar. A small thing I know, but still pretty cool. Pick Your Packets is all about learning and identifying the different packaging types you may encounter in the super market. 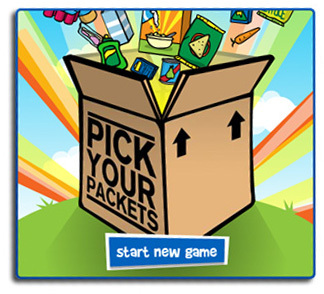 The player is given the task of sorting the various products into either good or bad packaging types. Good items get scanned and added to the shopping basket, bad items get returned to the store. To help them out, when ever they pick up a product a small description is displayed on the check-out display. As the game goes on, the items on the conveyor begin to come out more rapidly. If the player is not fast enough, the products will begin to back up, causing the players health to drop. If the health reaches 0, the game is over. Thats pretty much it so far. If you are interested in checking them out just head over to the VISY Enviromaniac site. Also, big Kudos to the team at Visual Jazz who I work with. They did an awesome job on building the site. You can read a bit about it on the VJ site here.